The pic that @lennycsn posted is Sora's picture in her twitter account. This is one of the reason why I love and adore her so much. She isn't afraid to show who she is in front of people including her fans. In this picture, she wore no make up at all. For a celebrity showing herself without make up and post it in her twitter is a brave way. As long as I know, correct me if I'm wrong, most celebrity, especially woman, wants to show the best for her apperance, but she's not that much. Whoa.. I love her so much and I hope she will get more role and more succsess in her carrier and love of course..
** What does Sora mean !? 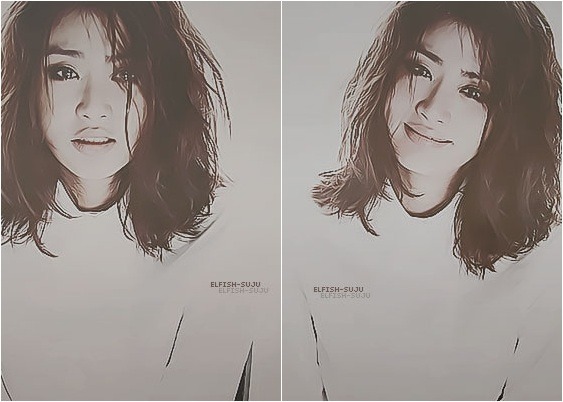 Kang Sora's dance leaves 2PM at a loss for words? Note: Read the Soompi forum rules Here and Here ! @mywebfoot, I like your opinion of Sora's career. Actually I thought Dream High 2 indirectly affected on project offering for her. Sora quite lucky at her one time appearance; she get good media coverage, more people know her, fans be able see her during "break", and build network with PD and writers. Brave (Korean Dubbed) already sold in Korea local store. kirane: I check Bang Bang official web. 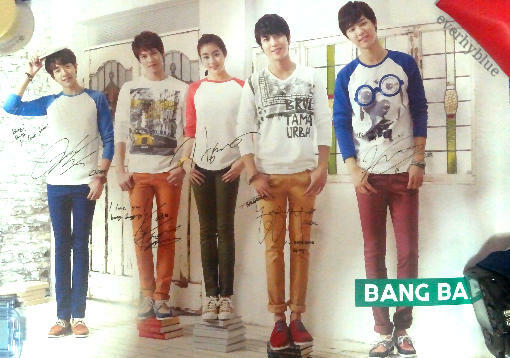 Sora yet included as their model, maybe we should wait Bang Bang S/S catalogue. #Random: I visited Sora official web, seems like Sora and her management (seriously) didn't want to make a news about physical appearance (like Sora said at Elle interview); as example Sora at MBC Awards almost all media reporting about her as "Bagel" but at her web only mention it's honor to get Popularity Award and be able to presenting PD's Choice for Actor of the Year. KOR. 날씨가 간만에 풀렸다! 태국 공항에서 선물받은 꽃.. 머리에 쓰는게 맞나.. pic.twitter.com/eD6EP61jENG. The weather is finally getting warmer after a long time! The flower I received as a gift at the Thailand Airport.. It looked nice on my head..
[2nd tweet]KOR. 꼬미가 날 사랑하는 방식... 고소한 발냄시.. ENG. I'm off to catch up reruns (on TV) now.. (Do this) again next time! 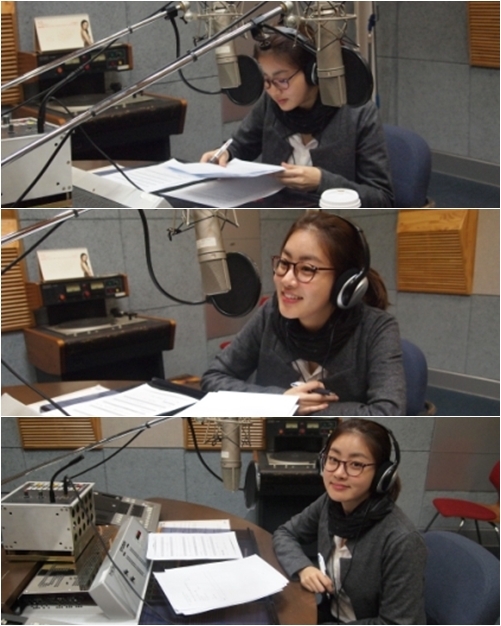 #Kang Sora, Kim Minyeong, Park Jinjoo interview at SBS 접속! 무비월드 20110507 for Sunny promotion (segment: 영화는 수다다). @missypappilon @dee15 @echalovable @mywebfoot @Pretty NoonaThank you girls to share the story of how each of you became a fan of Kang Sora. I really appreciate to read it..
@ChoonHee21, silently you working at completing all data for page one. great! kirane: I really admire Sora's fans whose support her since 2009, they couldn't see her regularly and media didn't pay her enough attention. Sora and her fans working really hard to achieve current stage. KOR. 두시닷! 굿나잇~~~~!!!!ENG. It's two o'clock! Good night~~~~!!!! *She tweet it after tweeting her fans..
News: Reporters point out about Sora's (friendly & modest) behavior towards her fans, her beautiful smile, how Sora didn't think that will be many people attend the event and her fashion *long legs*. kirane: Seems almost all her co-star in My Pavarotti really busy with theirs movie promotion: Oh Dalsu (The Gift of Room 7), Han Sukkyu (The Berlin File), Lee Jehoon & Jo Jinwoong (Ethics of Anger, but Jehoon in Army now). Hope when My Pavarotti released, she can promote it with all actors (although she done "Merida and The Magic Forest" alone). #The Gift of Room 7>>shirt: here, handbag: here. #The Berlin File>>coat: here, jeans: here, clutch: here.